For our flashback series this week, I thought we would take a look at something hot and exciting, getting us in the mood for the season around the corner. 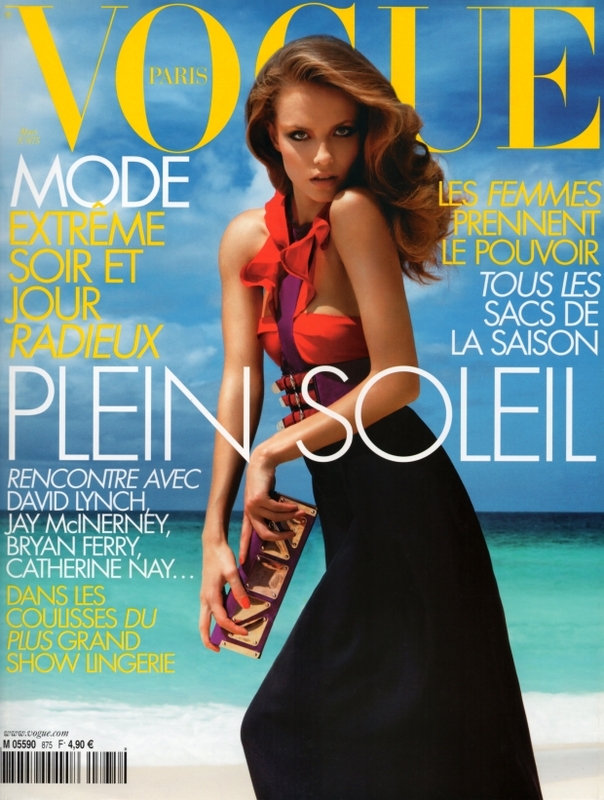 The cover of Vogue Paris March 2007 is a winter-warmer (March being typically cold here). Natasha Poly graces the issue, photographed by Inez Van Lamsweerde & Vinoodh Matadin. The Russian model dons a Gucci dress and clutch bag, whilst soaking up the rays during a shoot in the Seychelles. The gorgeousness continues inside the magazine, which features a 20-page fashion shoot with Natasha and Freja Beha Erichsen. For the story entitled 'Soleil de Minuit,' Emmanuelle Alt's styling is perfect. Inez and Vinoodh have truly captured the spirit of what I consider to be the ultimate summer fashion story, done to the highest of standards — the images scream luxury. We see clothing from Yves Saint Laurent, Balmain, Max Mara, Christian Dior and Jil Sander, not to mention the idyllic location. Also inside the 402-page issue are fashion stories from Craig McDean, Mark Segal, Peter Lindbergh and David Sims. We see appearances from models such as Lara Stone, Jessica Miller, Suvi Koponen and Coco Rocha. Something for everyone's tastes, to say the least. Peruse the contents (and maybe even see a comment of yours from back in the day) in the thread here.